I started to be fed up to see all the books I like to be out of print, so I started to contact authors and collect their old books. I would like to thanks them all and their publishers as well. If you know an author that is willing to give to the community a book, please give him my email. Now if you like these books and want to help me continue support me. I added some other material because they illustrate the philosophy behind Smalltalk. The article from the Conference History of Programming Languages. A Must Read! Smalltalk design pattern companion book drafts. Sherman Alpert, Kyle Brown, and Bobby Woolf. Addison-Wesley, 978-02011846241998. The chapters listed here are not in their final form but more in draft form. Buy the book it is really excellent. Smalltalk by Example: the Developer's Guide Alex Sharp, McGraw Hill Text; ISBN: 0079130364, 1997. This book covers all kinds of issues basic level, design, testing... I liked it a lot. The code and the book as a single file containing everything are available. Thank again Lukas Renggli for his effort for converting everything from Word. Thanks a lot Alec and thanks McGraw-Hill http://books.mcgraw-hill.com/ They were really nice with us so think about it if you hesitate to buy one of their books. Not all the publishers are that open-minded. Smalltalk With Style (Volume One) by Edward Klimas, Suzanne Skublics and David A. Thomas. ISBN: 0-13-165549-3, Publisher: Prentice Hall, Copyright: 1996. A great and small book that everybody should read. Thanks Ed, Suzanne and Dave to give it for free. We would like to OCR it but we do not have time now. If you have a better cover please send it to me. 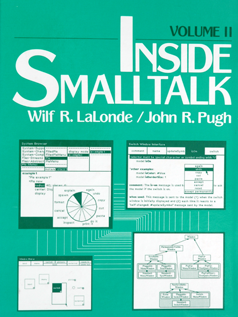 Inside Smalltalk (Volume One), by LaLonde, Wilf R. and Pugh, John R., Prentice-Hall, 1990, ISBN 0-13-468414-1. We would like to OCR it but we do not have time now. 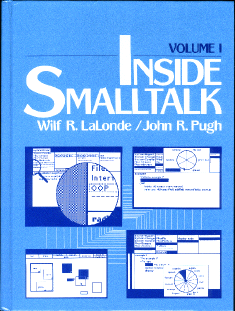 Inside Smalltalk (Volume Two), by LaLonde, Wilf R. and Pugh, John R., Prentice-Hall, 1990, ISBN 0-13-468414-1. We would like to OCR it but we do not have time now. 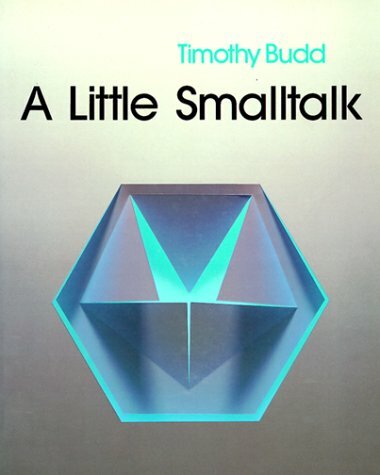 A Little Smalltalk, by Tim Budd, Addison-Wesley 1987. Many thanks to Tim Budd and his publisher. Please have a look at http://www.aw.com/catalog/academic/discipline/1,4094,69948,00.html. 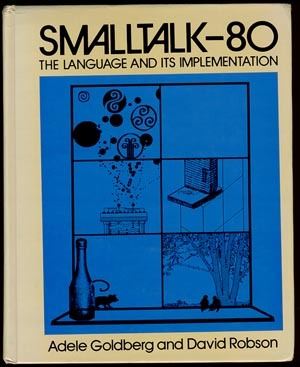 The Art and Science of Smalltalk, by Simon Lewis, Prentice-Hall 1995-1999. Many thanks to the original publishers of this book Prentice-Hall, the responsible of the HP series and Simon Lewis. Practical Smalltalk: Using Smalltalk/V, by Dan Shafer and Dean A. Ritz, Springer Verlag; (July 1991). Many thanks to the original publishers of this book, Pearson Education, for permission to distribute this work, and of course the authors! 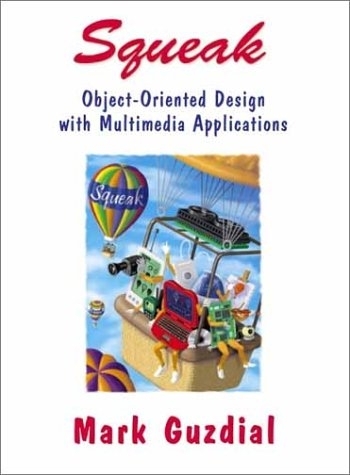 Smalltalk and Object Orientation: an Introduction,Springer-Verlag, ISBN 3-540-76115-2, 1997. 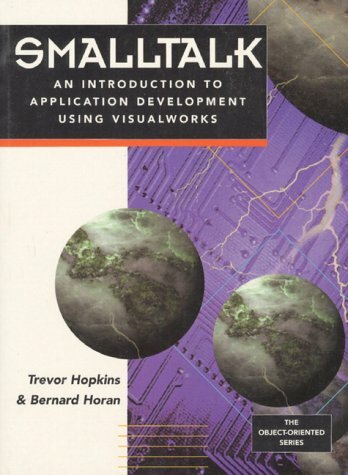 This book provides a good survey of Smalltalk. Some information are now obsolete but it is still worth reading. Enjoy it. Thanks John www.johnhunt.info to support our request. We want to thank Springer Verlag Publishing for allowing us to give you this book for free. The Taste of SmalltalkTed Kaehler and Dave Patterson, W W Norton & Co.; ISBN: 0393955052; (May 1986). This book is for collectors. The quotes are really excellent. All the chapters are ready (except chap.2 for now) Enjoy it. (Scanned, OCRed...by Stef, Alex, Gabriela, and Lukas). Thanks Ted. Ivan wrote this book and he gave it to the community. It contains a lot of useful material. Thanks again ivan and continue to write good books. This book is for collectors. Thanks Glenn. This book is for collectors. Thanks Adele. DRAFTS of Squeak, Open Personal Computing and Multimedia Mirror of http://coweb.cc.gatech.edu/squeakbook/. Edited by Mark Guzdial and Kim Rose. Prentice-Hall 2000. It's available from Prentice-Hall. 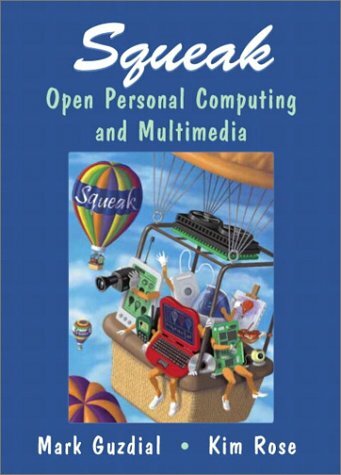 DRAFS of Squeak : Open Personal Computing for Multimedia taken from http://www.cc.gatech.edu/~mark.guzdial/drafts/. Mark Guzdial, Prentice-Hall 2000. It's available from Prentice-Hall. Syntaxbasierte Programmierwerkzeuge L. Schmitz, B.G. Teubner Stuttgart 1995. 1996. Thanks Diego. This book is distributed under the Creative Commons license and it would be nice to translate it in other languages.